Welcome to the blog countdown to the announcement of our 2015 Africa Award Winner! The Africa Award recognises Africa driven and led advocacy efforts that have demonstrated success at community, national or regional level. It aims to recognise and reward the exceptional work of organisations dedicated to helping the continent achieve the Millennium Development Goals. The winner will receive $100,000 and well-deserved recognition for their efforts in fighting poverty and progressing African innovation, commitment and success! Our first finalist is Africa!Ignite (A!I) based in Durban, South Africa. A!I supports emerging entrepreneurs using a holistic approach incorporating craft enterprise development, responsible tourism, youth engagement, women’s health promotion and human rights advocacy. They are also keen to promote the stories of role models in the community to increase the impact of their work and inspire others. In 2011 they launched the ‘Shake the World’ campaign to create awareness and action towards the Millennium Development Goals (MDGs) via the sale of eight colourful fair trade bracelets produced by female crafters. Each colour represented one of the MDGs and was designed to educate people about the issues addressed by each of the goals. Over 500,000 bracelets were sold in 4 years which created additional income for 1,000 female crafters. This project boasts high profile brand ambassadors such as Richard Branson, Desmond Tutu, Goldfish, Jude Law and Queen Maxima who have all worn the bracelets, increasing public awareness. 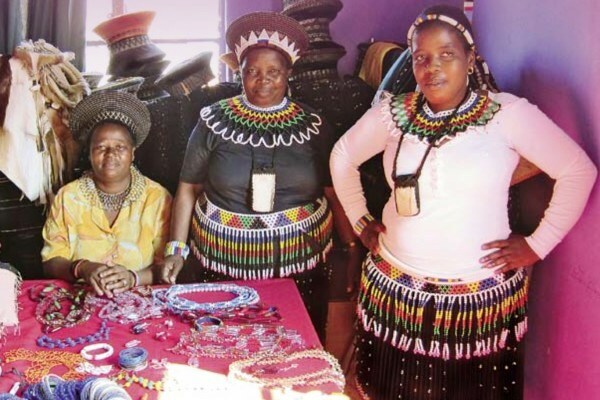 Additionally, since 2010, A!I and its partners have established over 450 vibrant ‘WOWZULU Marketplaces’ in seven popular tourist destinations across KwaZulu-Natal as a strategy to alleviate poverty, ignite rural enterprise and inspire responsible tourism. The contemporary and colourful marketplaces, combine craft sales with vibrant cultural experiences and attractions such as coffee shops, story-telling, rural home stays and opportunities to learn craft techniques. A!I would like to expand the reach of their programmes into other poverty-stricken areas of South Africa as well as neighbouring countries Mozambique and Swaziland. They also have plans to replicate the ‘Shake the World’ initiative and develop a similar campaign to promote the new Global Goals. Find out more about Africa!Ignite on their website and look out for our next Africa Award finalist tomorrow!